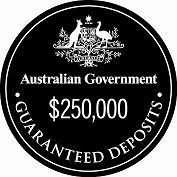 The Australian Government has developed an easy to recognise seal that authorised deposit-taking institutions (ADIs) can choose to use to help depositors understand that their deposits are protected under the Government’s bank deposit guarantee (also commonly referred to as the Financial Claims Scheme (FCS)). A financial institution does not have to use or display the seal. If it chooses not to display the seal, that doesn’t mean the account is not guaranteed. The FCS applies to deposits held in all authorised deposit-taking institutions (ADIs) incorporated in Australia. This includes banks of all sizes, credit unions and building societies. Under the FCS, the Government guarantees deposits up to a cap of $250,000 per account-holder, per ADI. All ADIs –whether they are small or large – need to meet the same, extensive prudential standards and are overseen by the same regulator, the Australian Prudential Regulatory Authority (APRA). While the seal is new, the FCS has been in place since October 2008.